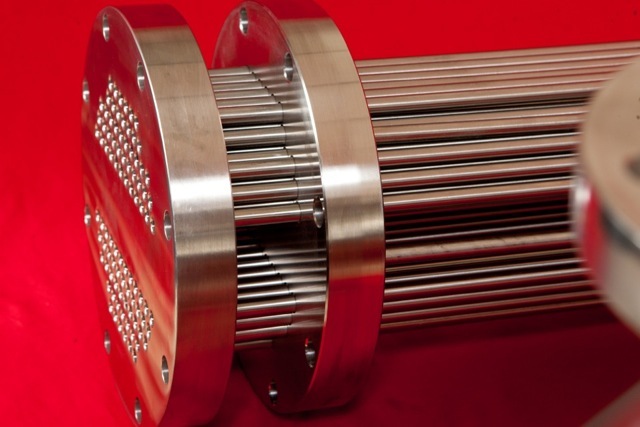 Enerquip produces stainless steel and high alloy shell and tube heat exchangers for a variety of sanitary and industrial applications. 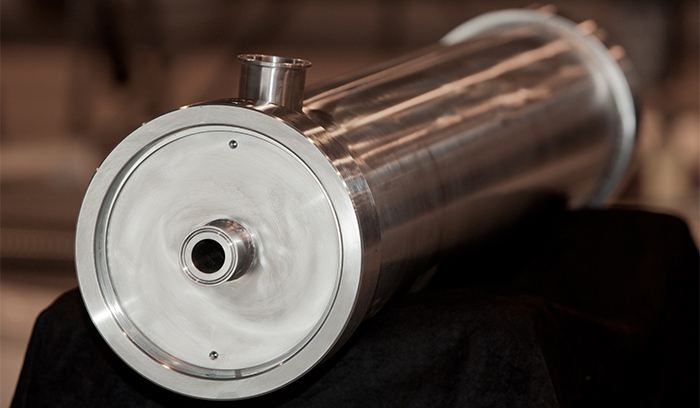 We also produce replacement bundles and parts for existing exchangers. Formed in 1985 following the asset purchase of Conseco. Enerquip produces products for Food, Dairy, Beverage, Pharmaceutical Chemical, Power, Pulp/Paper, Waste Water, and Renewable Energy throughout the United States, Canada, Mexico and other international locations. Enerquip is a leader in several markets with a reputation for innovative designs, highly efficient manufacturing, excellent quality and outstanding customer service. Enerquip’s corporate headquarters and plant are located in Medford,WI. Customers count on Enerquip to minimize plant down-time and get new projects up and running faster. Standard designs streamline the drawing approval processand allow us to use standardized parts-often stocked and produced in advance. 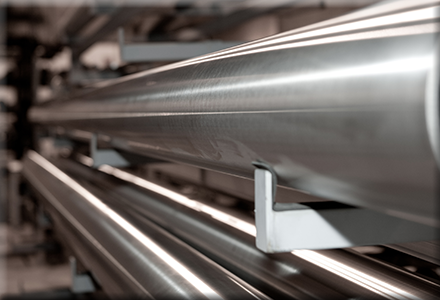 Our in-house machining of tubesheets, baffles and bonnets gives uscontrol over the complete manufacturing process-reducing delays. Enerquip is an ASME code autherized manufactuer holding both U and R stamps, approved by and registered with theNational Board of Boiler and Pressure Vessel Inspectors to perform work to ASME Section VIII, Division 1. Enerquip has a full line of standard sized heat exchangers available in both sanitary and industrial models for fast delivery. 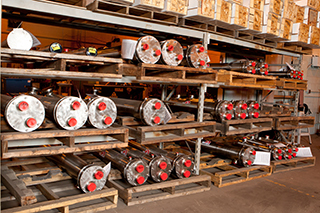 We also stock replacement tube bundles, gasket sets and other parts for our exchangers to support our customers’ maintenance programs. 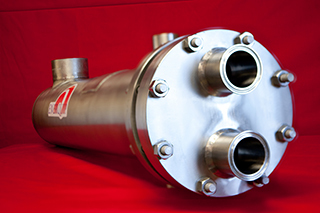 If you need a custom exchanger for a unique heating or cooling application, Enerquip’s experienced engineers can design the right exchanger for your process and space constraints. Using the experience gained from building literally thousands of different exchangers, Enerquip applies leading design software and modern manufacturing methods on every new design we create. 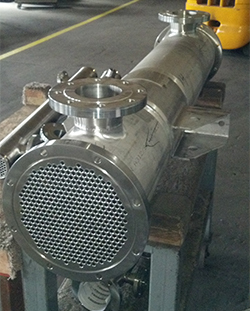 In addition to high quality stainless steel heat exchangers, Enerquip also fabricates other process related stainless equipment for OEM’s and system providers. These include: Membrane Housings Filter Housings Pressure Vessels Supports/Hangers Ductwork and Custom components.